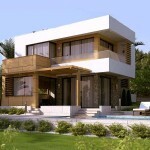 In our company, priority is to deliver projects in excellent condition in order to satisfy the needs of our customers. In addition to that, at Pelasgos Homes, we are able to provide our customers with regular maintenance visits. Each month our dedicated service technician will conduct a comprehensive maintenance program covering every area in your house. During this visit, we take care of all the works that are necessary part of maintaining your home, including cleaning drains, changing air-condition filters, caulking counters, showers and tubs, taking care of your plants and of course check and prevent the property for any damage.